Just a few various classics from the golden era. 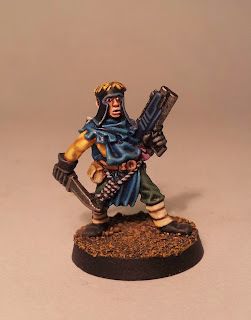 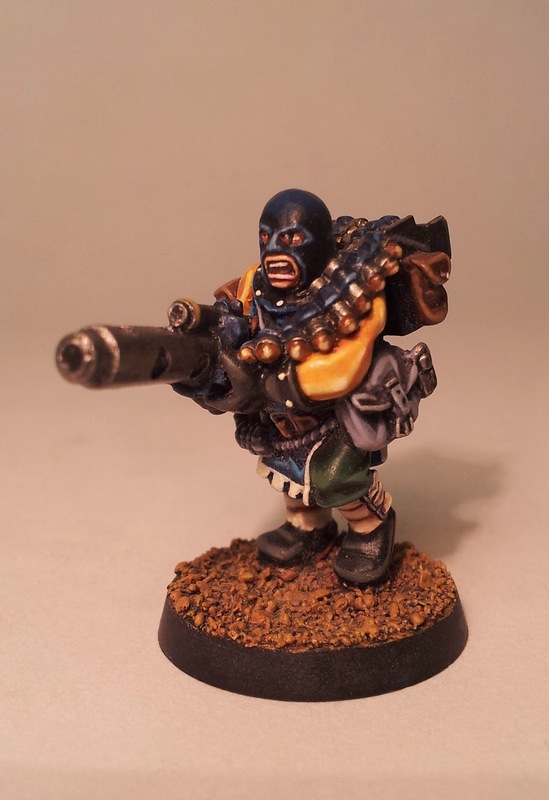 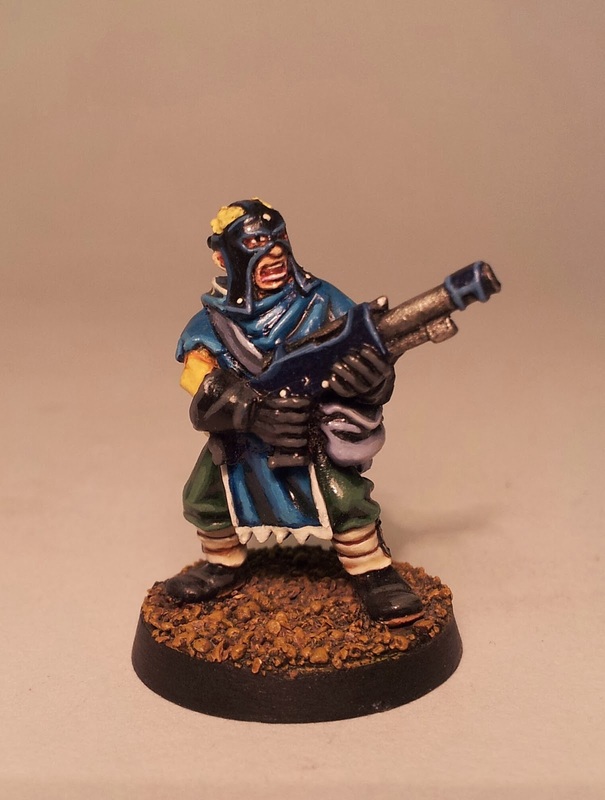 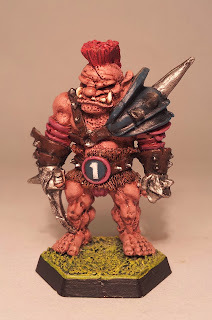 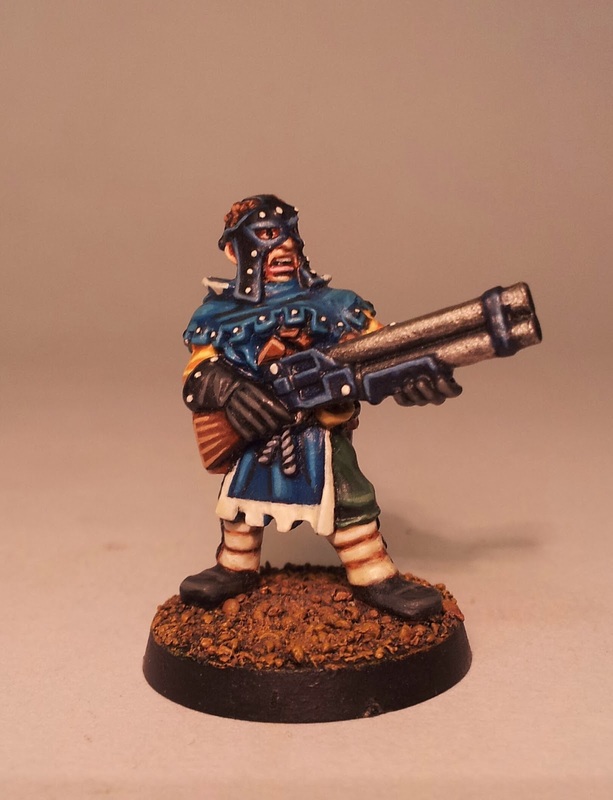 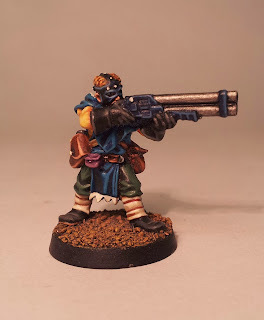 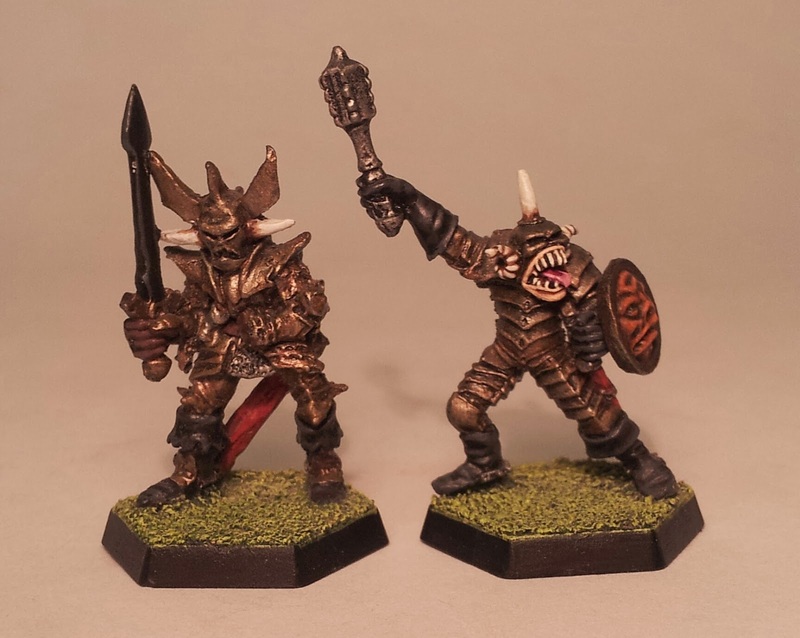 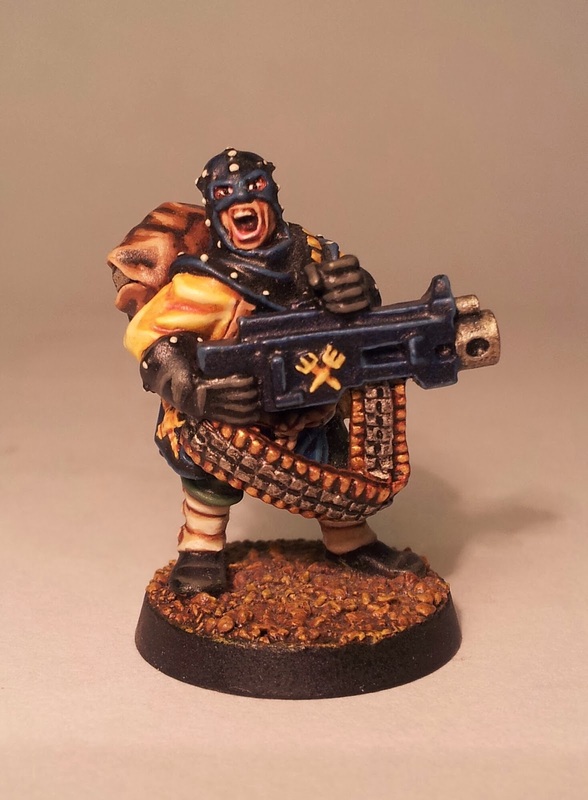 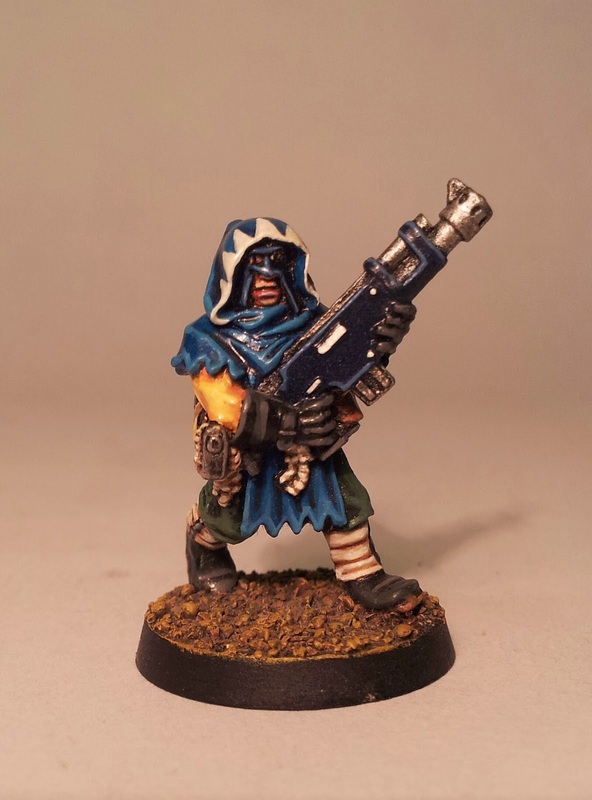 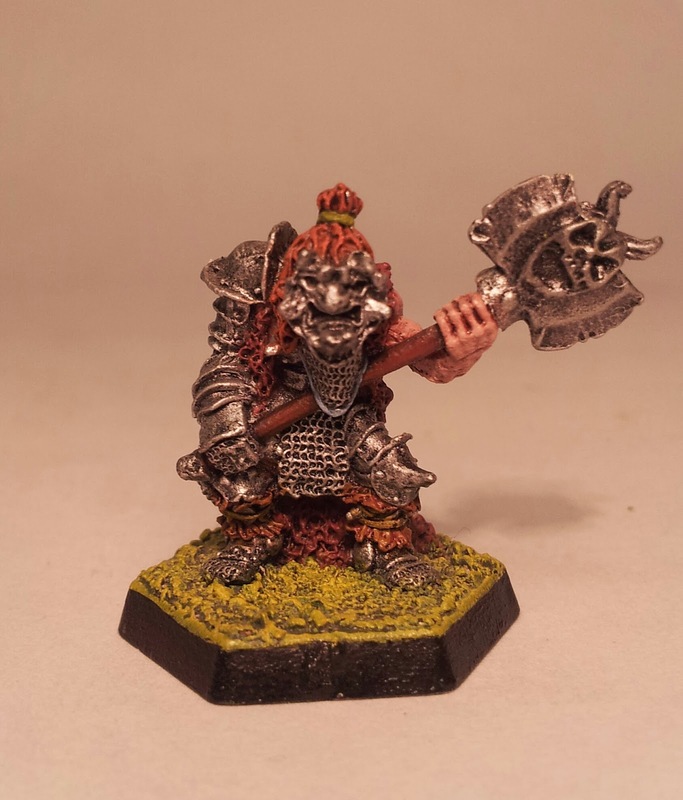 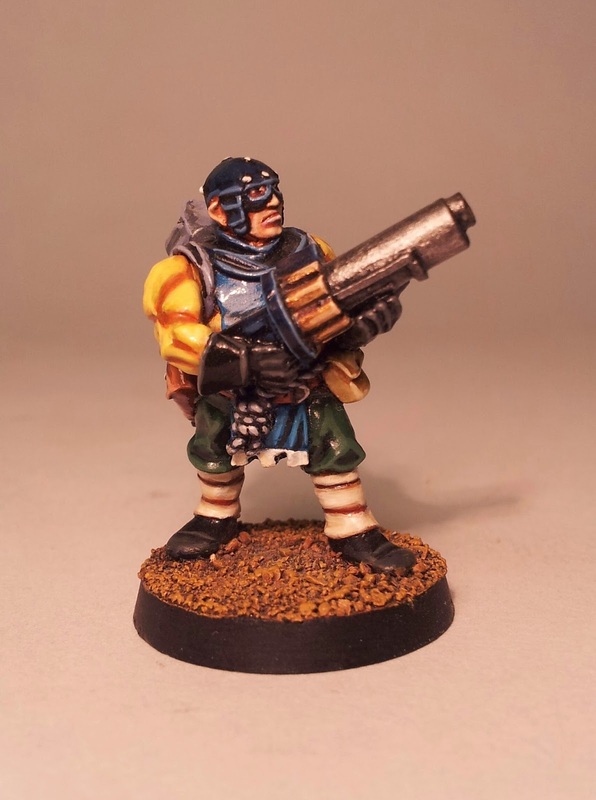 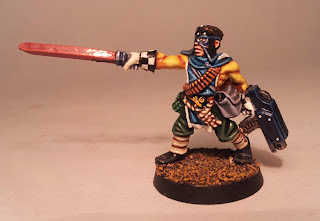 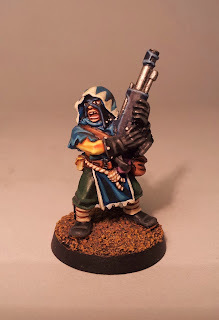 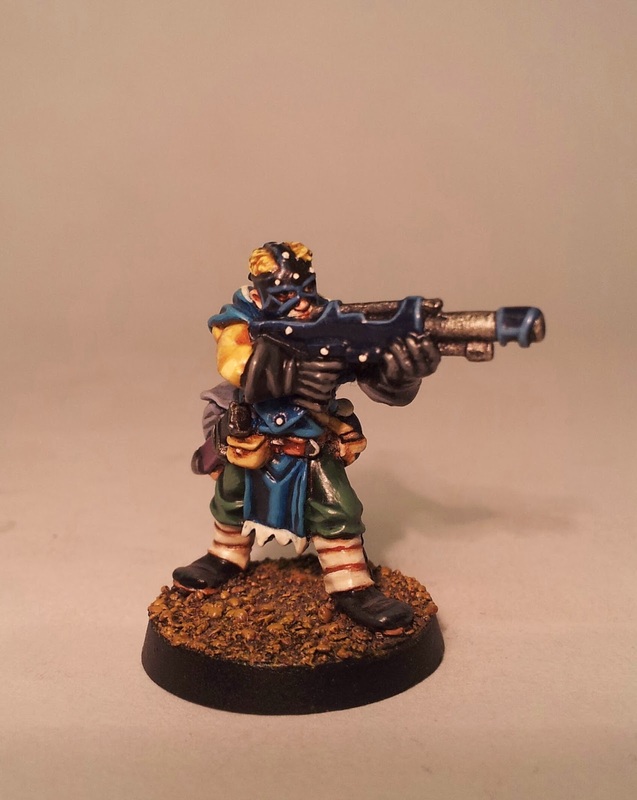 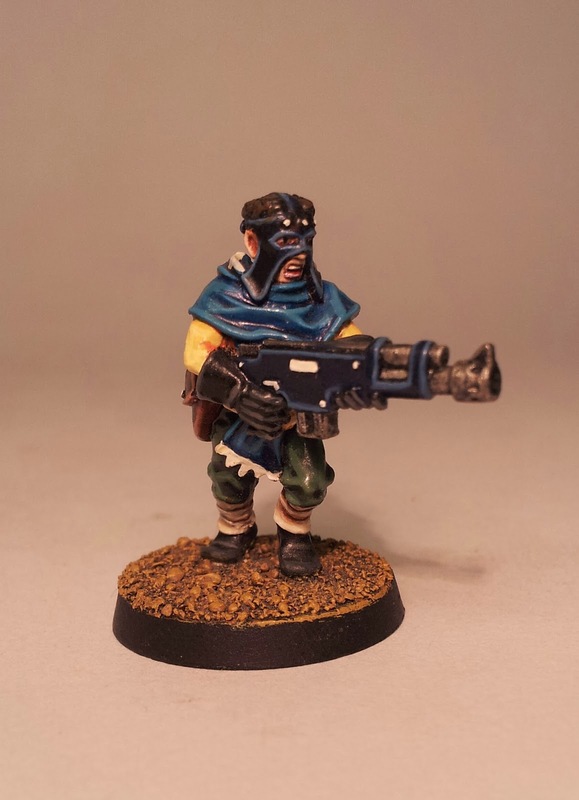 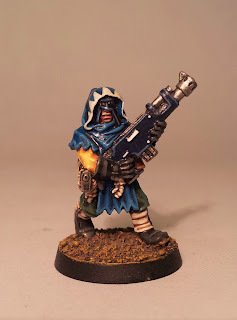 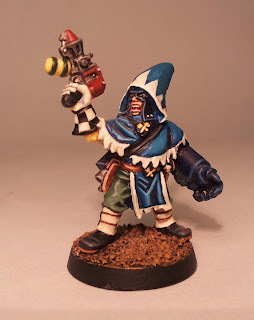 Hobgoblin Champion from Regiments of Renown box set. 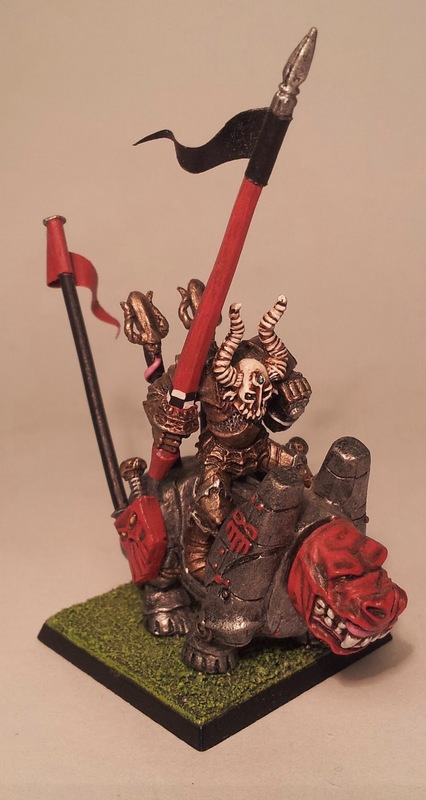 I had to give him an axehead from a Chaos Warrior as he never had one of his own. 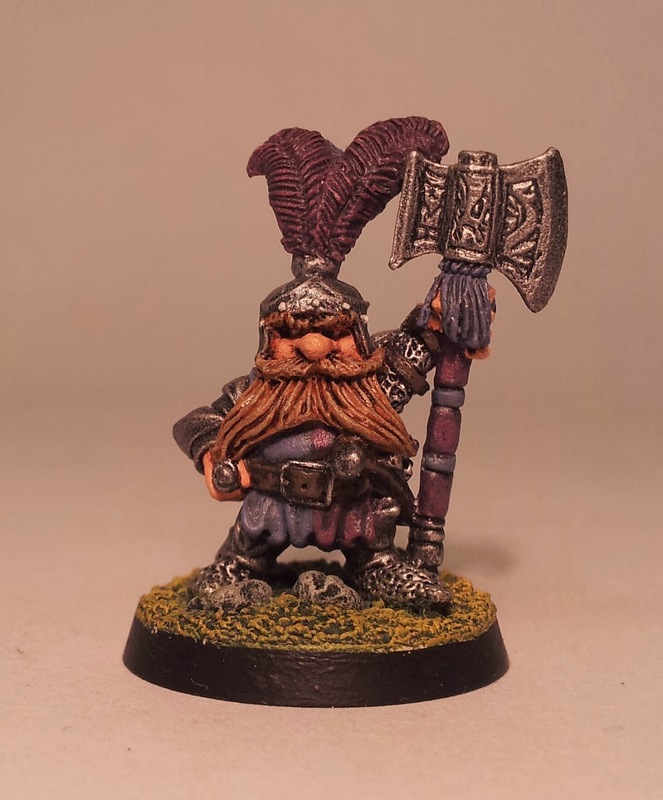 Dwarf Champion of the Imperial Dragon Company. 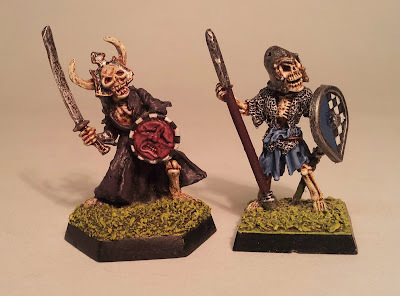 The brilliant Ranlac from the C17 skeleton range who also featured as a personality from the Terror of the Lichemaster scenario accompanied by a trooper from the Nightmare Legion. 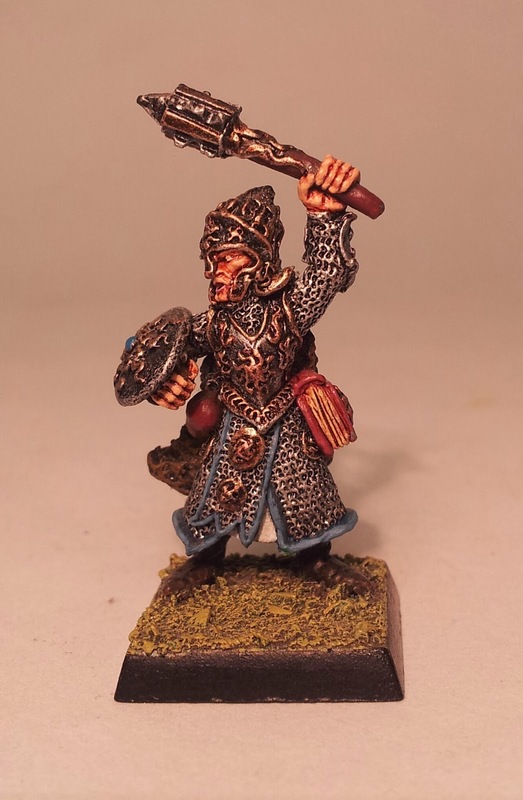 Champion from the Knights of the Cleansing Flame regiment of renown box set. 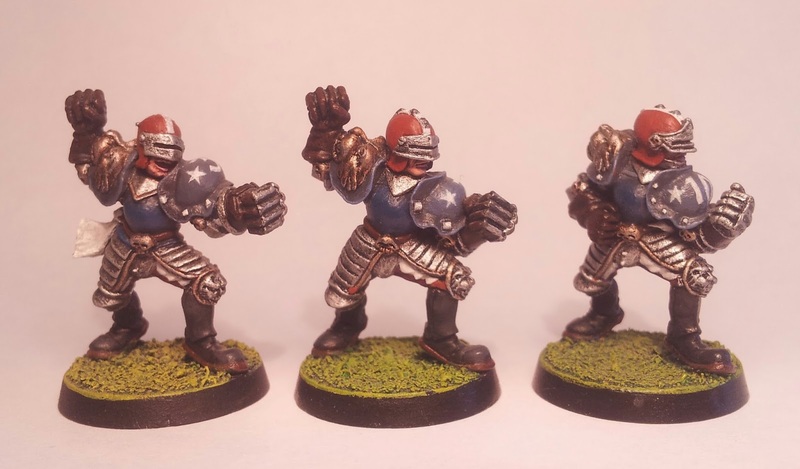 These were started in 2004, resumed in 2006 and in 2014 despite 'finished' were altered by replacing their silver helmets with red ones. 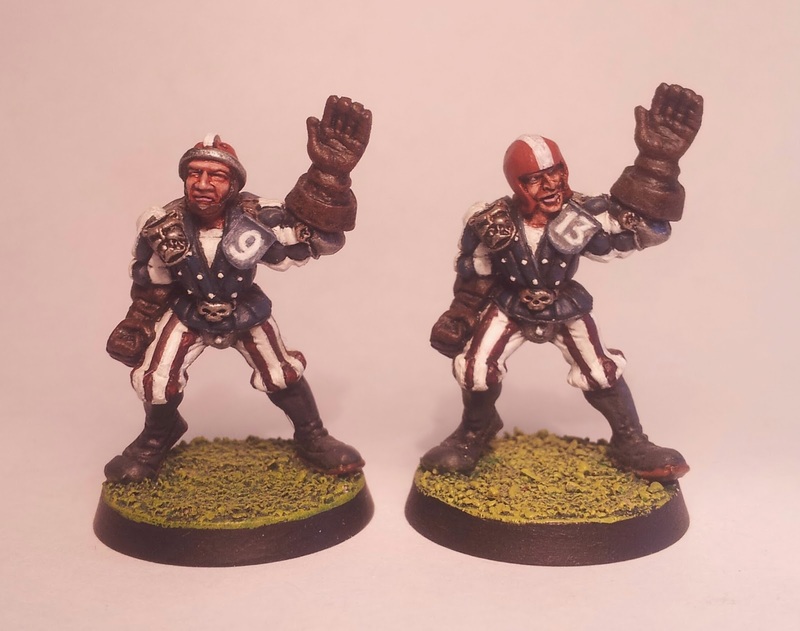 The right hand one has had a head replacement from a spare thrower. 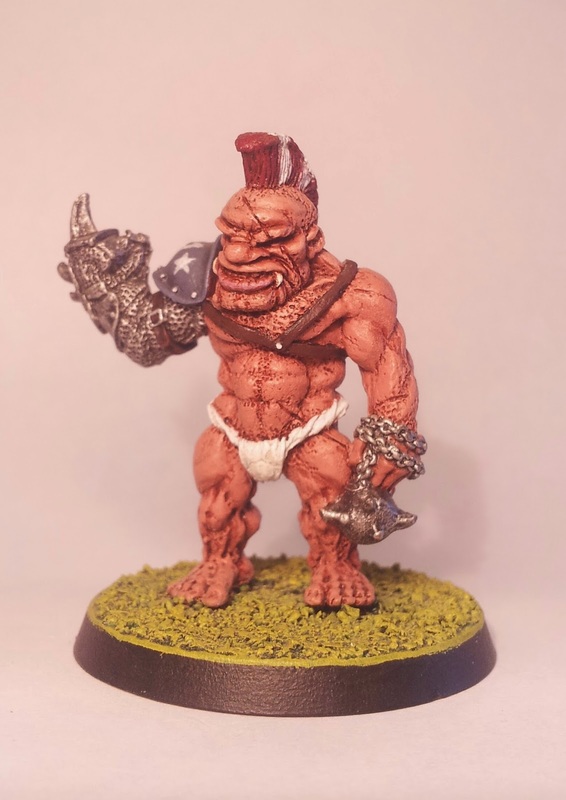 The gladiator from the C23 Ogres range, he doubles up nicely as a Blood Bowl player. 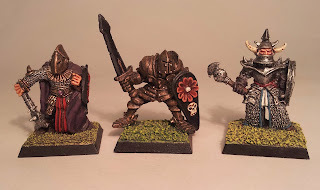 These are some of my all time favourite figures. 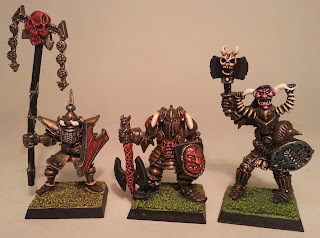 Such character in all of these guys that must have been a lot of fun to create back in the day. 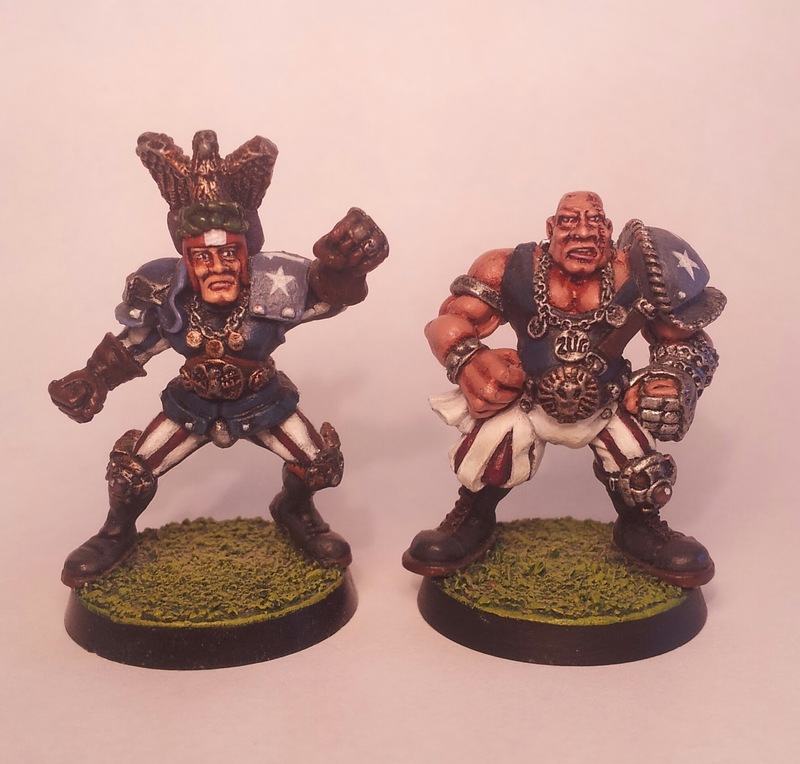 They were painted back in 1997, 1998 and a few in 2002. 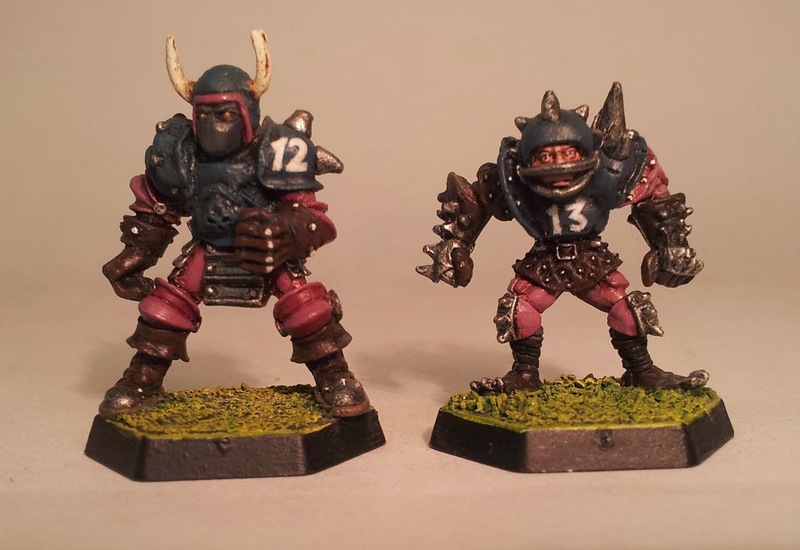 I opted for a darker version of their original kit. 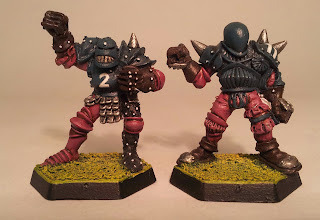 These were painted back in 2006. 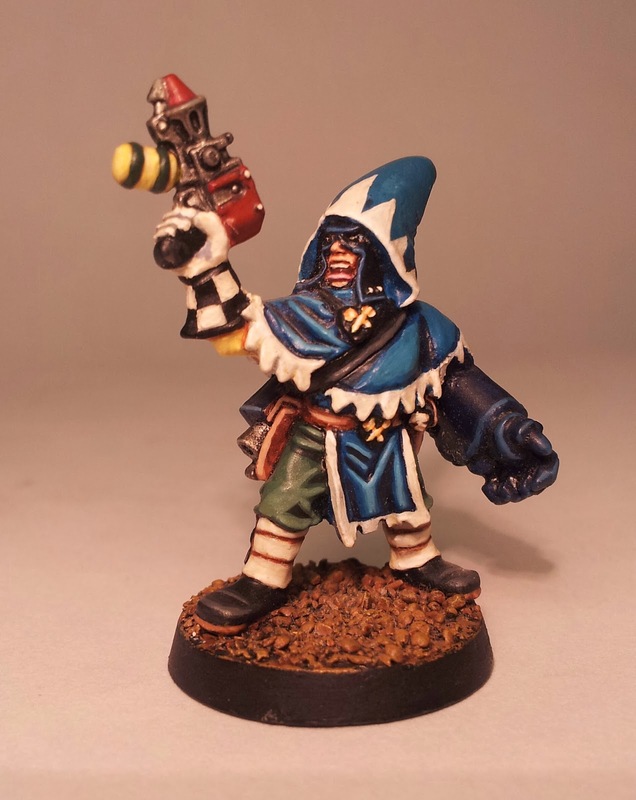 I don't know why I went for hex bases; just fancied something different. 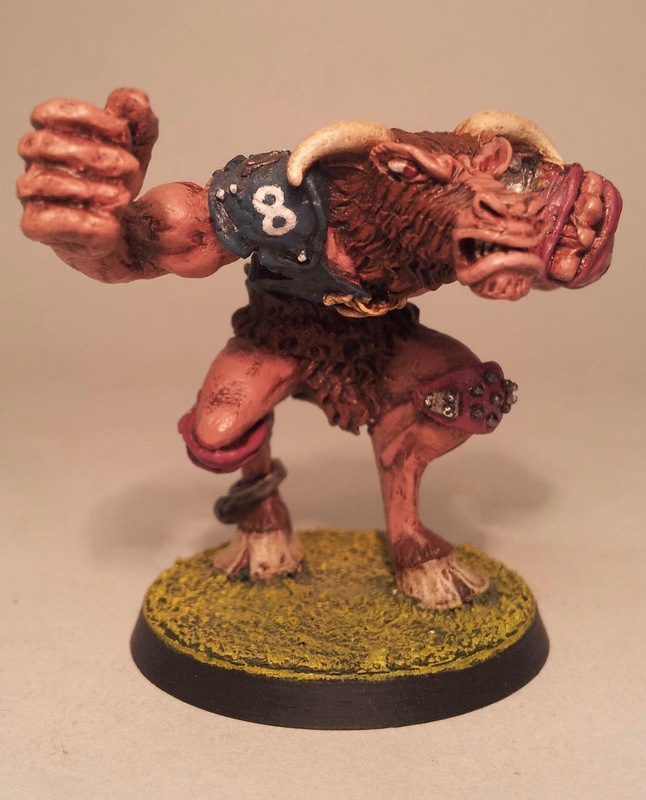 Some of these guys were kindly donated to me by Tom Anders of the Talk Fantasy Football Forum. 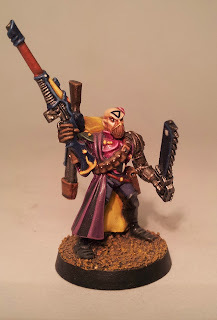 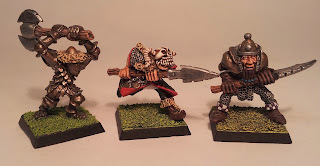 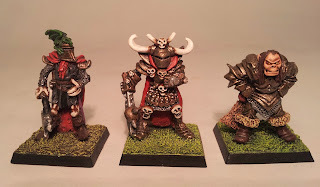 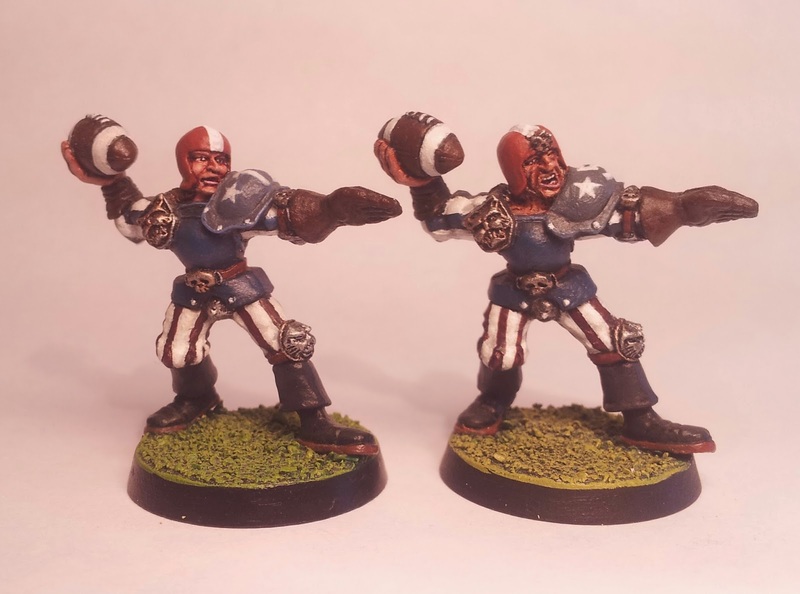 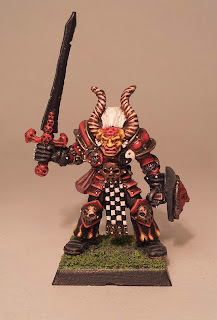 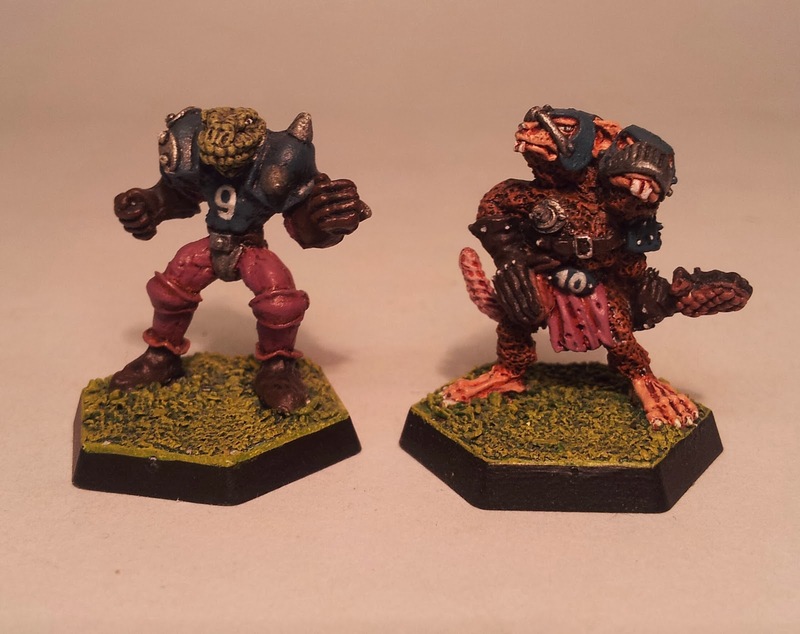 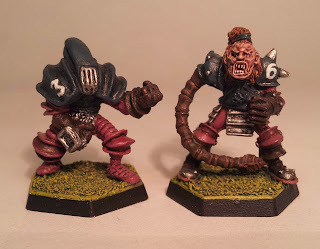 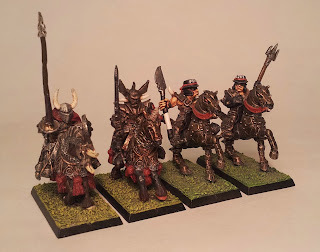 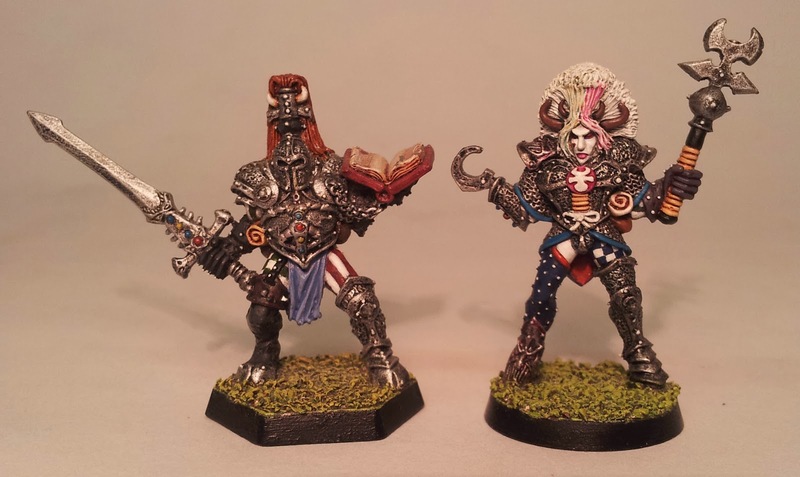 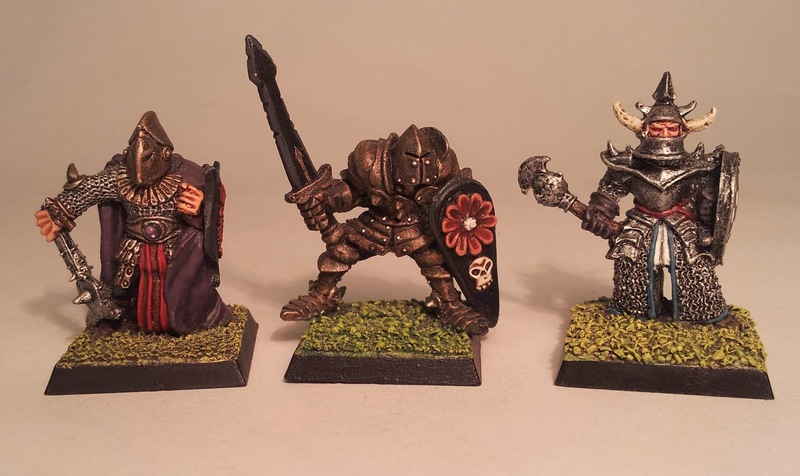 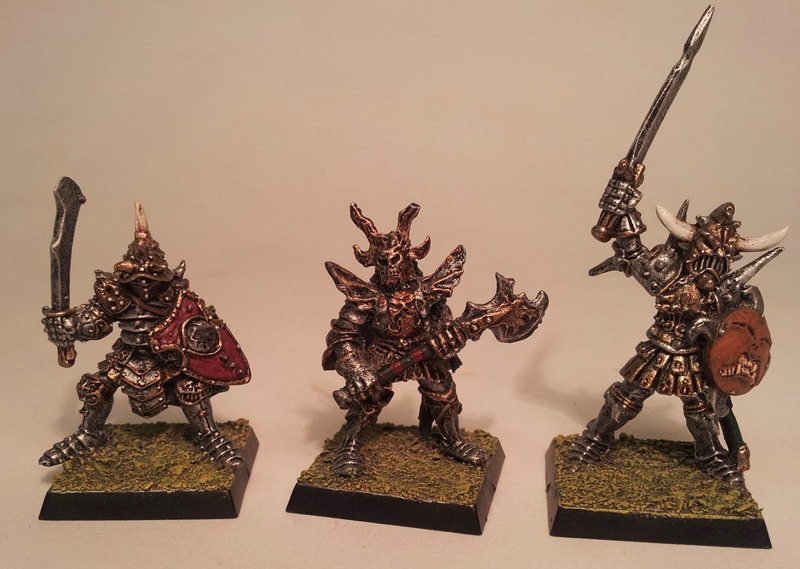 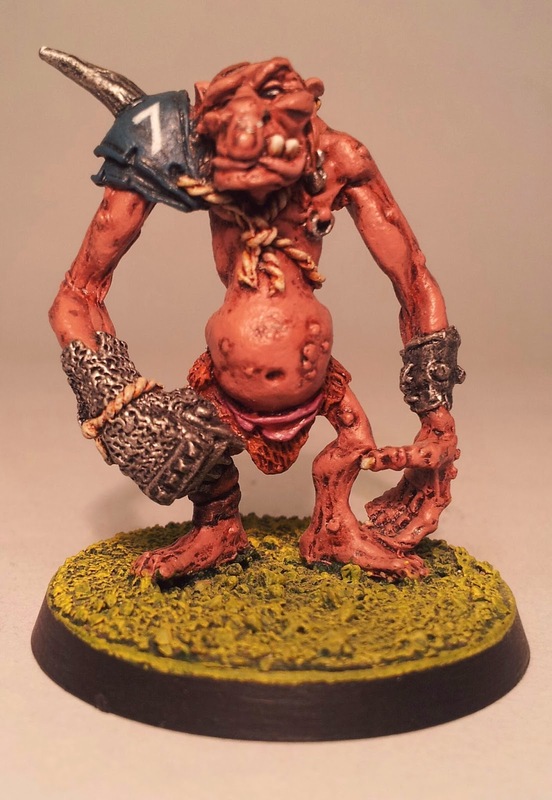 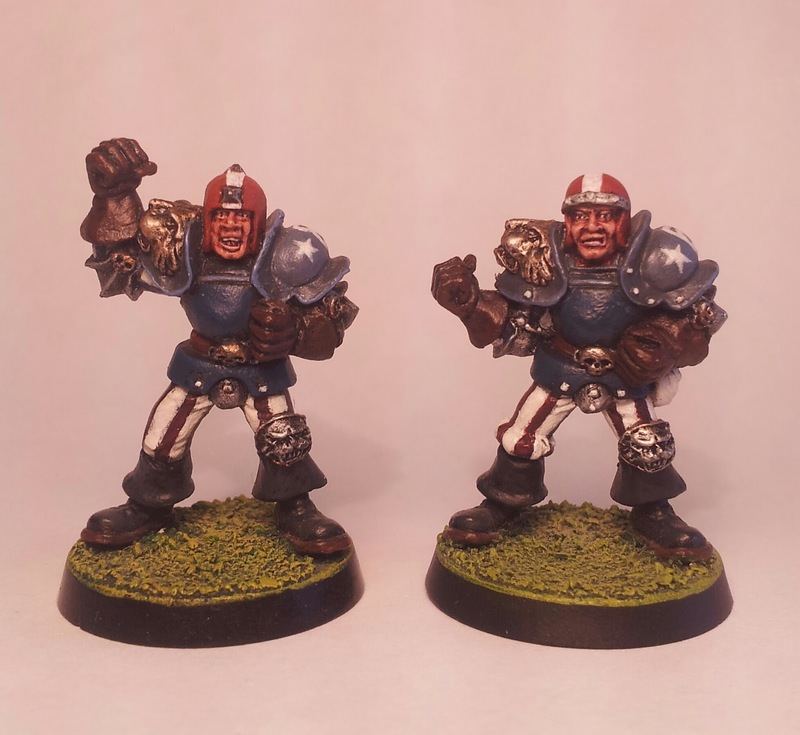 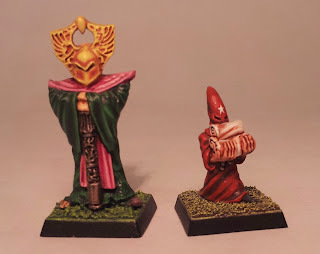 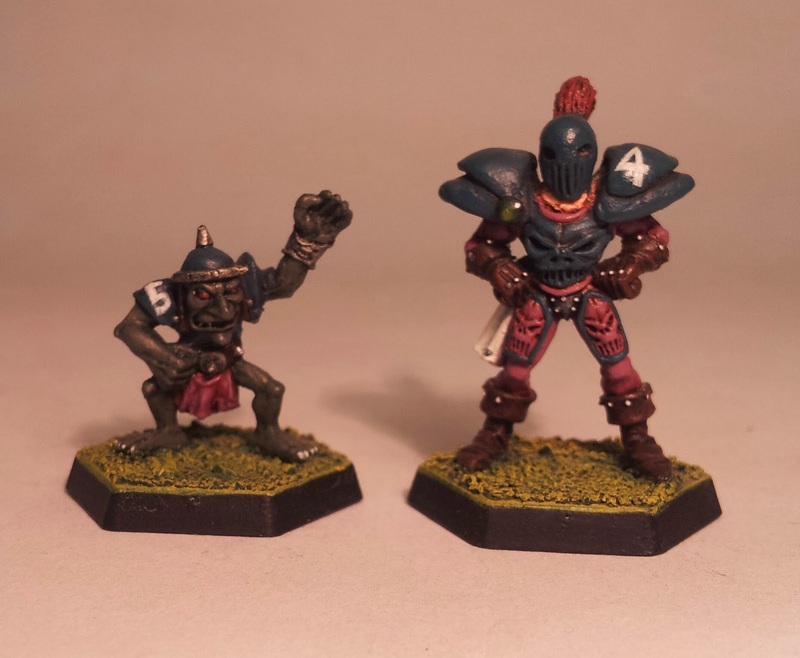 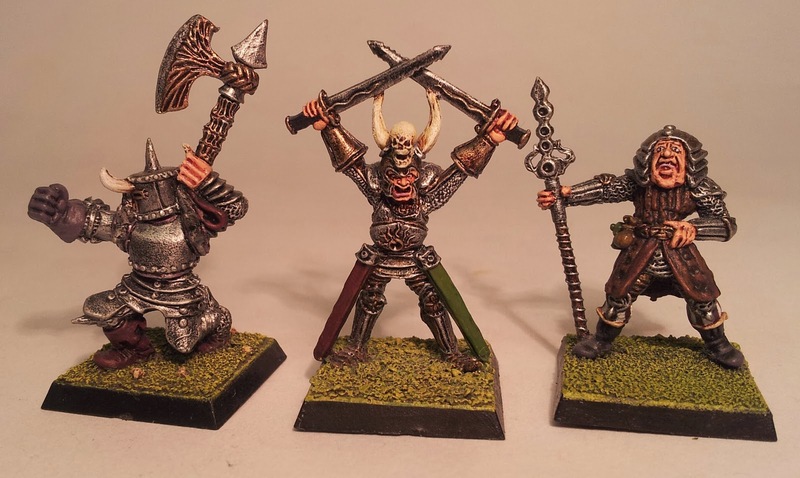 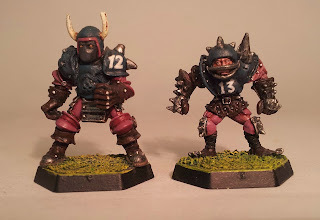 These were painted in early 1997 and were my first entry at the Golden Demon awards, later that same year. 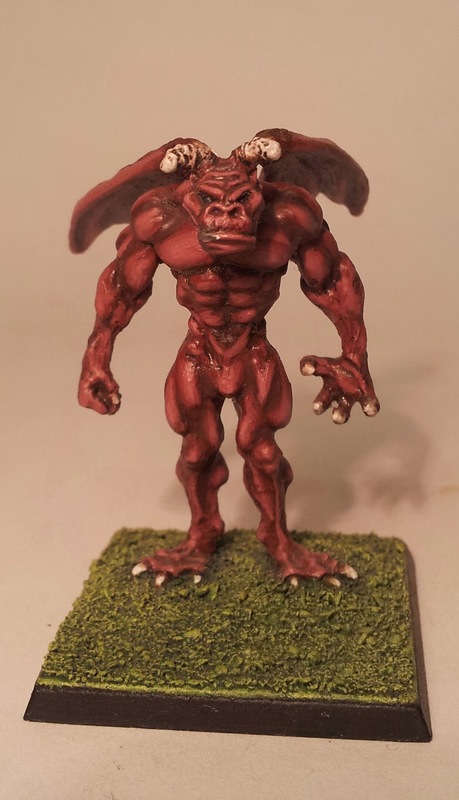 To be honest I never thought I stood much chance of success but I guess I had a bit of luck on the day. 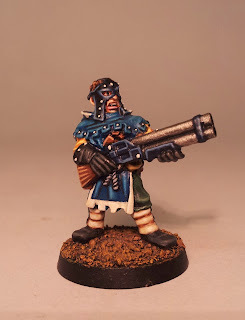 By today's standards, they aren't anything mega special. These guys are still pretty dear to me, though. 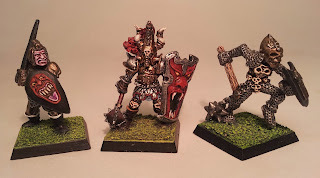 These below were the rest of the gang that didn't make it to Golden Demon. 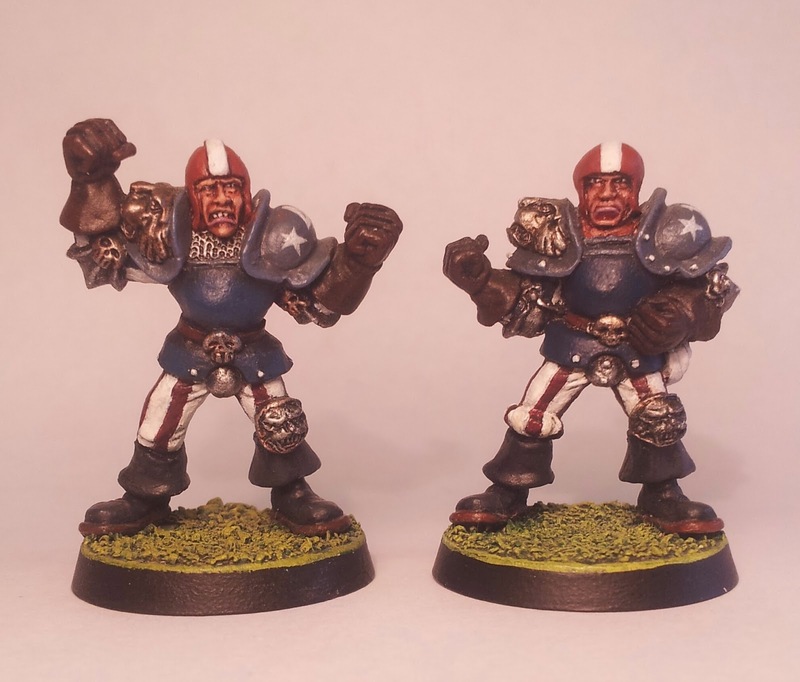 They never made it to a matt varnish either.